THE heartbroken father of one of the boys who drowned after running from police has shared a tearful tribute as trolls leave vile social media comments attacking the grieving families. The families of Jack Simpson, 17 and Chris Drage, 16 are "soaked in grief" from the loss of the boys, who drowned after plunging into the Swan River on Tuesday while allegedly trying to escape from WA Police officers. In an emotional tribute yesterday, Chris's father, Christopher Drage wrapped an Aboriginal flag around a tree at the scene on the river bank in Maylands and teamed up as he talked about the teenager. 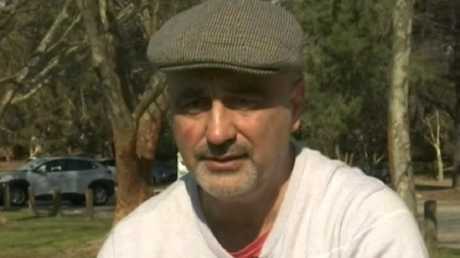 "He was a good boy, just made a fatal decision to jump in the river to get away from the police," Mr Drage told 9 News. "Obviously they were scared. They were only young boys." Mr Drage hit out at hundreds of social media trolls who said the boys deserved their fate as they fled police after jumping fences. "I ask people not to be judgmental," he said. "We all make silly mistakes as kids and it's just tragic that they lost their lives. I'd like people to respect that. "A lot of people want to blame other people or whatever, upbringing or the police. But I suppose these young boys, that's their way of having fun and unfortunately it costed them their lives." Although he appeared composed as he addressed reporters, a suffering Mr Drage confessed to being "numb" as the tragedy was still setting in. "The boys chose to do what they done. I suppose they didn't know to what extent it was going to cost them," he said. "Value your life, and realise that it could be here one minute and gone the next." Aboriginal Legal Service chief executive Dennis Eggington said some of the social media posts about the tragedy were vile and constituted racial vilification. "It's worse than discrimination, it's something much more evil," Mr Eggington told AAP. Mr Eggington said the offensive social posts attacking the grieving families were a repeat of offensive social media comments that followed the death of Aboriginal boy Elijah Doughty in 2016. The 14-year-old was riding a stolen motorcycle near Kalgoorlie when a man, who cannot be named, chased him in a ute and ran him down. Mr Eggington said social media had provided a platform for people to air and cultivate hatred, and should be better moderated to keep offensive views "around their BBQs". "It propagates, it perpetuates this type of thinking," he said "Young kids in particular are all across Facebook so they're being influenced by another generation of Australia that denigrates Aboriginal people." Police divers recovered the body of the boys from Swan River on Monday night and Tuesday morning. 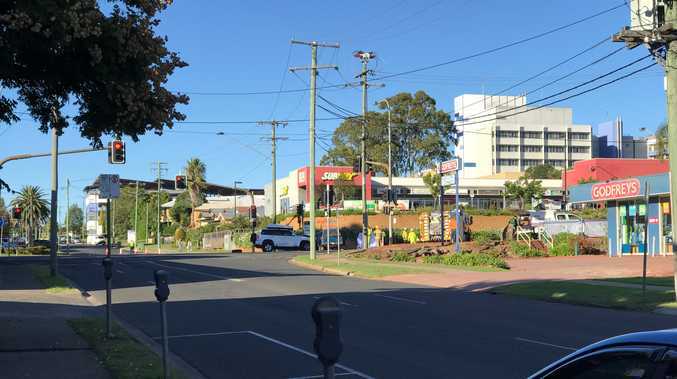 They were among five boys police chased on foot following reports of teenagers jumping fences after a house had been ransacked and burgled in suburban Maylands on Monday afternoon. Before the teenagers' bodies were recovered, two other boys in the group were found nearby and taken into custody. Police yesterday confirmed a fifth boy involved was found alive with his family nearly 24 hours after the chase began mid-afternoon on Monday. A coroner will hold an inquest into Chris and Jack's deaths, which will be treated with the same seriousness as a death in custody because police were present. Mr Eggington urged the state government to fast-track the inquest so as to not prolong the suffering of the families, who need answers soon. "They need some closure. They deserve the truth and nothing but the truth," he said. He said positive steps by WA Police, including an apology to Aboriginal people who had been mistreated by the force and a push for more indigenous officers, would be diminished if there was a long wait for the inquest and the void was filled with social media commentary. "By allowing this to fester and go on, those positive steps get eroded." Family friend Herbert Bropho said the police and Government are to blame. Source: SBS World News. Some indigenous community members have questioned how police handled the situation. "West Australian police and the government are accountable for the two young deaths," Herbert Bropho told SBS News. "If it was a white kid, who was drowning in that water, he would have taken all his clothes off and go and save him. But at the end of the day, it was an indigenous boy, he stood back and watched that young man die." Western Australia Police Commissioner Chris Dawson said while the deaths were being treated as having happened in the presence of police, officers did not physically engage with the two 17-year-olds. National indigenous Critical Response Service (NICRS) national co-ordinator Gerry Georgatos, who has been supporting the boys' families, said he had seen the footage of the tragedy and agreed police had not made contact with the children. "They rescued two of the children from the river but were not able to reach the others, tragically," Mr Georgatos said. However, he understands the distrust of police by the Aboriginal community. 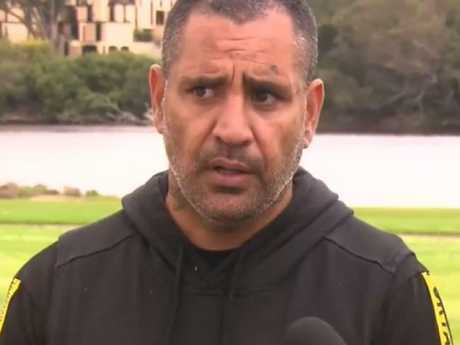 "There have been historical and continued racism across the nation by police who have acted with rogue behaviour and they (community) have good reason to mistrust, however on this occasion I don't see what the police did were wrong," Mr Georgatos said. "But I want us to focus on young children having a purposeful life and having right to equality, which they don't have. 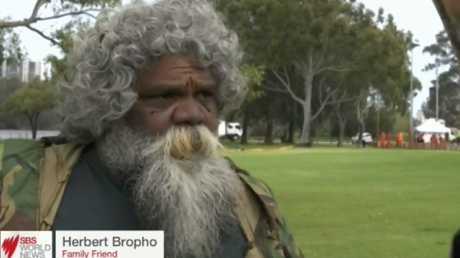 "I do know the police are trying to change Western Australia's past behaviours and have recognised past and contemporary wrongs; they recently apologised to Aboriginal people in WA about those past wrongs and are creating a new culture and I pray that will play out because in the end it's about lives." National Indigenous Critical Response Service (NICRS) national co-ordinator Gerry Georgatos. Source: SBS World News. Mr Georgatos emphasised more needs to be done to protect indigenous youth appearing before the justice system. He said as the tragedy unfolds, the NICRS was also concerned for the young children of families who may be at elevated risk because of distress levels. "We have two critical support advocates, first nations women, who are supporting the families psychologically and with a lot of love. We have also met all the relevant services in Perth to co-ordinate a long-term care plan approach," he said. According to an Inquiry into Aboriginal Youth Suicides, youth suicides, around one quarter of suicide deaths among Aboriginal and Torres Strait Islander people in Australia occur in WA, despite the State state accounting for just 14 per cent of the nation's Aboriginal and Torres Strait Islander population. "Why is it that 60 per cent of WA first nation's people continue to live below the poverty line? And why haven't our government and institutions interrupted the cycle of intergenerational poverty and various traumas," Mr Georgatos asked, adding "there are programs that change lives and our government and our institutions need to be investing in mass in the changing of lives to their betterment." "Otherwise, we will be damned by future generations for all those we left behind." He said one in 12 of WA's prison population are Aboriginal males are incarcerated and from a rationalised racialised lens, "that's the highest jailing rate in the world", while one in five of the States state's Aboriginal people have been to prison. "That's an abomination, morally and politically."